French Montana is finally officially single, after he and his ex-wife Nadeen Kharbouch finalized their divorce recently, which reportedly included a $2 million settlement. According to TMZ.com, the divorce proceedings were dragged out because the rapper and his ex were battling over the custody of their 4-year-old son. Now, their agreed upon plan allows French to see his son whenever he wants. 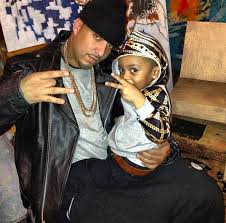 Furthermore, According to a report by HipHopDX, Nadeen’s friends explained some of the issues between the pair — one being that French has only seen his son four days this entire year. Her friends say she was specifically upset that the rapper preferred to spend time with now ex-girlfriend Khloe Kardashian over taking their son to kindergarten class. French spoke about the matter in the past, alluding to to his ex not allowing him to see his son.